Every year the netizens were complained about the stage design and aesthetics of Miss Earth but this year it turned a different tone just to break that LED-dependent stage design of almost all the international pageants that we saw. 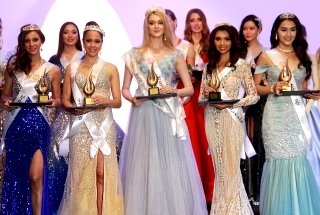 It beat Miss Supranational hi-tech "Hollywood" style huge stage and Miss Universe X-runway stage. 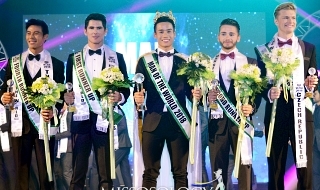 Here is an opinion from The Pageantry on why Miss Earth 2018 stage design won? The judges had a tough time determining the winner this year. 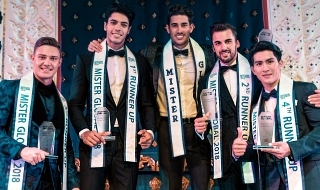 But with innovative design and relevance to the pageant's cause, the stage of Miss Earth 2018 got the top scores and won this year's Best Stage Design. Miss Earth did the unthinkable this year and created a fantasy-inspired stage which is much in line with the 18th edition's theme --- "Goddesses of the Earth." But what pushed the design to a whole new level is the ingenuity by using recyclable materials. GMA Network, the new Philippine broadcast partner of Miss Earth, designed and created a fantastic stage using 90% recycled materials. And being an environmental event slash beauty pageant, Miss Earth hit the note and set the bar high for aesthetics and social relevance. Haters of Ms Earth will deluge this thread with hateful comments in 4-3-2-1! WOW. CONGRATS MISS EARTH. CONTINUE INNOVATING AND SOAR HIGHER AND HIGHER. Someone commented on ME Beauties Facebook fanpage that Carousel reportedly hired an independent production designer not from GMA made this winning stage design. Nevertheless it is still break from the LED-dependent stage design. I think GMA only sponsored it but not necessarily the one designing it. Geeyourhair wrote: I think GMA only sponsored it but not necessarily the one designing it. Probably on the camera and directing part? HOPE THIS YEAR, THEY AGAIN COME UP WITH ANOTHER TOPNOTCH STAGE DESIGN. manoypoe wrote: HOPE THIS YEAR, THEY AGAIN COME UP WITH ANOTHER TOPNOTCH STAGE DESIGN. With a ‘flowers theme’, I expect us to see a very colorful stage this year. Puh Kee Miss Universe wrote: beeast stagess??? You really hate her, dont you? [quote="Puh Kee Miss Universe"][center]beeast stagess??? You are disrespecting The Pageantry's opinion about their version of Best Stage for 2018 season. So do you want to full of LED screens just to say that is the Best stage design? Miss Earth upped the ante in its production of its latest edition and here’s hoping it’ll continue to improve. I LOVE HOW MISS EARTH IS SLAPPING ITS HATERS.